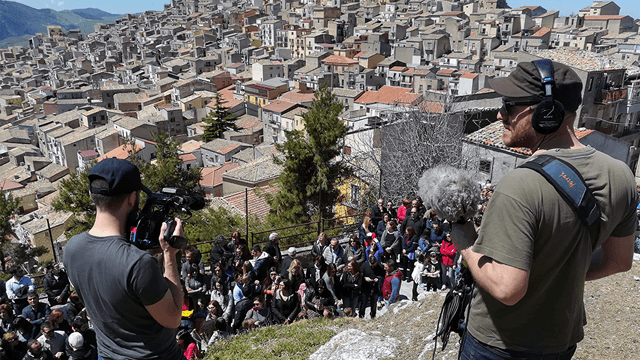 Dallas in Prizzi documents the journey of an artistic team from Dallas, Texas, attempting to reinforce the life and the values of the isolated town of Prizzi in Sicily. The economic and political frustrations of southern Italy are plainly seen, and the group from Dallas must break through scepticism to build trust and relationships that are the true foundation of economic and political action. The artists find a Sicily different than what they had imagined and gain the appreciation for the Sicilian people and their struggles against Mafia and economic stagnation. The heartwarming cultural exchange between Sicily and Texas demonstrates the importance of beauty to build human society.